The Toro SUP Paddle, named after the sushi cut of one of the quickest fish in the sea, the Blue Fin Tuna, is designed specifically for racing. 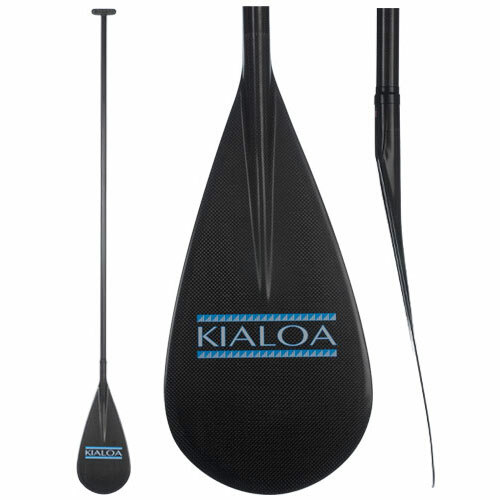 It features a Tahitian-style and ultra-thin teardrop blade profile with a Powerhook at the tip of the powerface for adhesion and a solid catch and a powerface dihedral for addition security in the water. 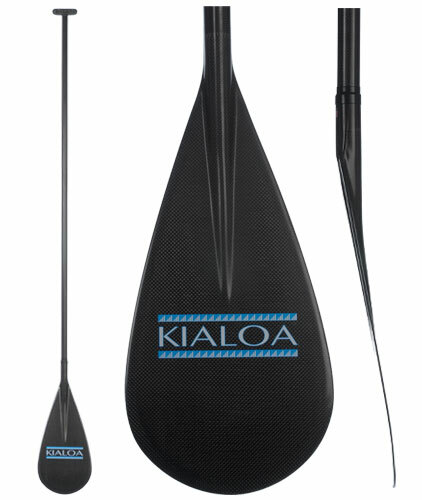 The stand up paddle blade and shaft are comprised of a carbon fiber layup created specifically for racing Â which results in a faster, tougher, lighter and stiffer paddle. The Toro was designed for SUP legend Chuck Patterson and is a blend of three different prototypes. It was designed with a "catch", a pronounced curved arc in the tip area. This is there to hook up as soon as the sup paddle hits the water. It also has reduced blade thickness to minimize resistance from the water, creating better traction with the water and avoiding agitating the water into bubbles. Another interesting feature on the Toro sup paddle is its long dihedral, which raises the thin blade core to provide power. The race blades are stiff so as to maximize energy transfer, and there is a reinforcing rib on the non-powerface to reduce flex. The Toro stand up paddle is a tribute to Tahitian outrigger paddlers and is specifically inspired by the Tahitian style of design for paddles. DJ wrote, "The paddle is extremely light.. The blade is very thin and it slips in and out of the water like no other paddle that I've ever used.. It has amazing bite with no slippage at all.. When you dig hard the stiff shaft didn't rob you of any power from flex and I feel like I need to work out more to get the most out of this paddle.